saw this on the brick fan... What do you guys think? How much is it? Could be interesting for parts if a good price. Not sure what I would do with all those windscreens though. Like it. Good piece count, something different and should contain some useful parts and props. I'm going to say £39.99. @AllBrick I think it will be around the same price as the pirates chess set.. I hope not @wardm . Pirate chess ( #40158 ) has over 300 more pieces. Not to be confused with #41061 . I find it quite sad. They killed off their own line of original games (OK, some were based on traditional games rather than genuinely original) a few years ago and now start to replace it with less good copies of existing games. From the picture alone, I'd prefer to play Guess Who than this. Don't you need to have the same figures on both sides? (I haven't played Guess Who in a while...) otherwise you don't know what to guess. ^ Yeah I just realised that.. d'oh! Will have to be a Superhero mash-up then! After playing guess who for many years and being a Lego fan, I actually have no desire for this. This only has about 1/2 the characters that the normal guess who game has. I guess you could buy 2 and combine, but then you would need to swap out minifigures and need duplicates of the 12 you sub in. Kind of expensive by that point. Why did they kill off their own line of games, anyway? I read that those were a huge success. the '80s version would be really tough. "Does it have brown hair kinda parted on one side?" "Want to play something else?" I don't think they do. So long as the batch of loose cards I have match those on the stands by the other player, a different set of characters could be used. The kids have a 'cloned' version of the game that does just that. Goodies at one end, baddies at the other. So is this gonna be like the chess sets and come with a bunch of Minifigures? This is what I was going to say - provided I have a picture of your minifigures from which to choose (or randomly select) and then answer questions about then you can still guess it. Having said that - you would then need to produce pictures of all the minifigures you used and they would have to be clear enough to see the features etc. My concern with using (what looks like only a few) super heroes would reduce the cross over of features. Have you got brown hair should mean you can cover up about half of the characters for example, but with superheroes - do you have a batman logo on your chest doesn't quite work in the same way... (in fact you could create a game with just batmen but yeah, you get the picture). You would have to select your heroes very carefully to get the same balance between the two sides too - otherwise one side will have some awesome questions to cut down the numbers and one side won't. Anyway - as it is this is fantastic. A must for our house so can't wait for it to be available over here! There's enough stuff in the world where creating it from LEGO adds something (even if not always very successfully). The maze is a good example, being made from LEGO you can create numerous maze designs and by building the mechanism you get to see first hand how it works. This, you take two good things, Guess Who and LEGO, and create something so far less than the some of its parts. It looks crap, it almost certainly plays crap with fewer choices but it will cost a tonne. Lets be honest, if we saw this on Ideas it would get a few hundred votes at most. 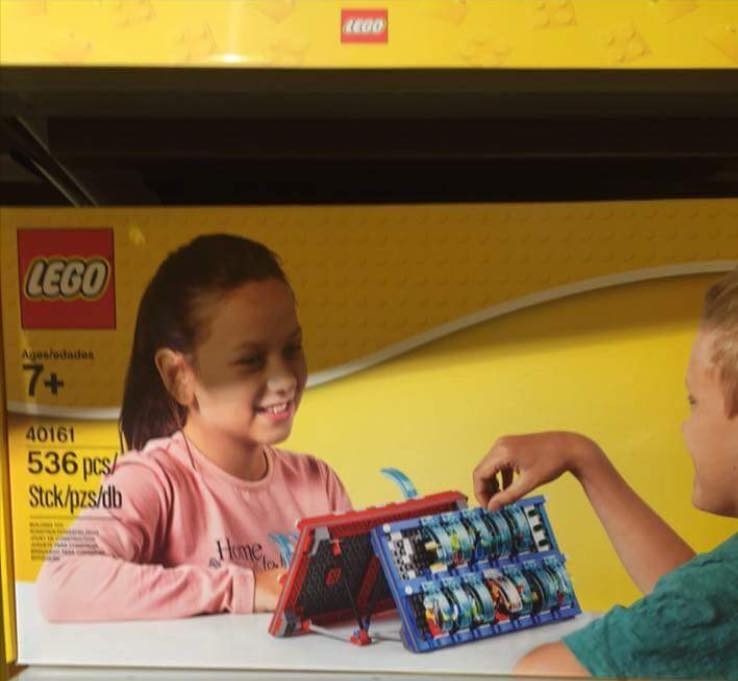 LEGO what are you doing? Yeah I'm with Huw on this one, I can't even see a good picture as on my phone but could be a great minifigure pack. I will most likely get it... Only for the figures though. 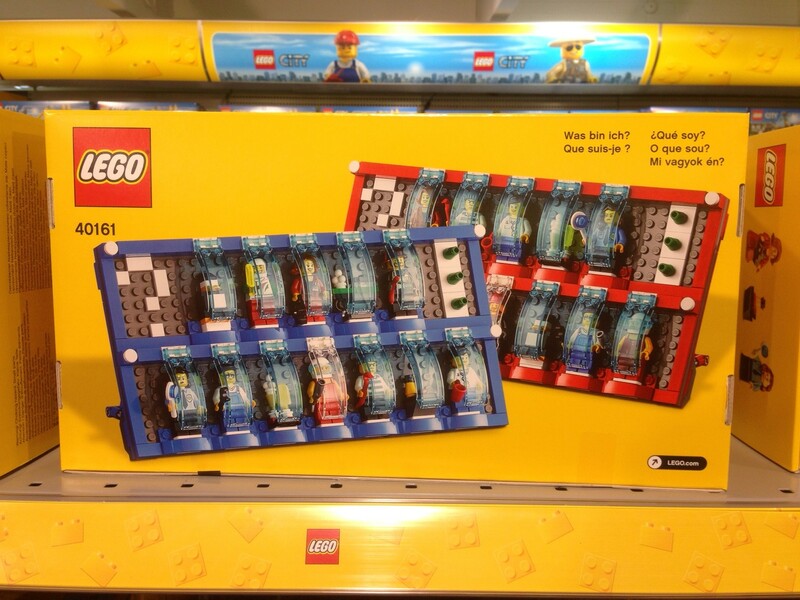 If it is being bought (and sold) as a minifigure pack, then why not just sell minifigure packs? 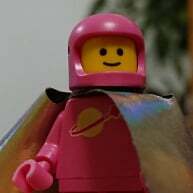 I somehow doubt the minifigures will be CMFs. 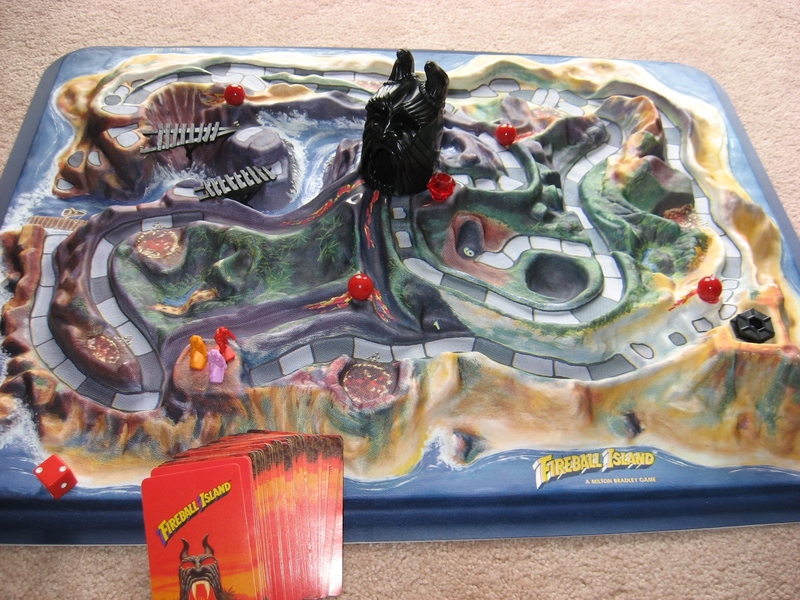 If they would decide to do Fireball Island...I'm in. ^you just triggered some long forgotten memories. Thank you! I doubt it too, but there will probably be some good hair and torso peices. If it's anything like the chess sets, it will mainly be generic pieces. The pirate set didn't even have hats for all the navy. Please do a review when you do. Would be fun to read and see the details. I hope you still have it. That thing is crazy expensive now. Of course, you could take the new Volcano Research Base and build out a game out of LEGO. That would be pretty sweet. I think this would be a great set and if it is real and is available in the UK may get a set for my son for when he's a little older. ^ They can't be THAT mercenary, can they? I assume they come with a set of generic minifigures. But that would be really funny if you had to supply your own figures. I wonder how many collectors will use it as a display rather than a game. More info here http://jaysbrickblog.com/2016/05/13/is-this-lego-40161-a-new-guess-who-type-game/ with slightly clearer photos. At 536 pieces I'm guessing it comes with the figures (12 figures at 5 pieces (ish) each gets you to 120 pieces). The ability to mix and match your own figures seems the main appeal, but does make you wonder why you wouldn't just play this with your own collection and two base plates (hidden), assuming you have two of every piece. It is not 12 minifigures from one of the comments, it is 12 things in each tray, which includes brick build things. There seems to be 8 minifigures in each tray, so possibly 16 in the set. They are rather generic pieces though. Danish pricing ... LEGOland in Billund for dkk449 which is close to AU$90, so £47.50 equivalent. ^Yeah I was aware of that but guessed that the items/brickbuilt characters also contained at least 5 pieces. It comes with sausage...... SOLD! could be a fun at the park type set. seems to come with a variety of civilian and accessories. The link has been updated with even clearer photo's Looks like 16 minifigs. All the same stuff stuff twice, shame. I do like this and think wonder if getting two sets could make something twice the size, perhaps with a few adjustments to the figures for more variety. I don't want this for myself, but might get it for my son. How would the game work if it wasn't the same twice? ^ It would certainly be more subjective. AND completely pointless. That'd be like playing Battleship with completely different pieces. I want the side with 10 destroyers and no aircraft carriers. I'll take the side with the patrol boats.